We urge songwriters and performers to boycott the contest, just as artists once boycotted the South African apartheid regime. 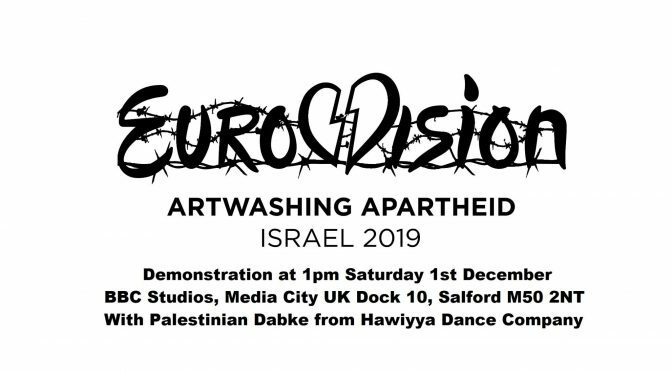 As part of the protest there will be a Palestinian Dabke performance from the amazing Hawiyya dance company. Israel regularly uses culture to cover-up, justify and distract from its oppressive regime of military occupation and apartheid against the Palestinian people.